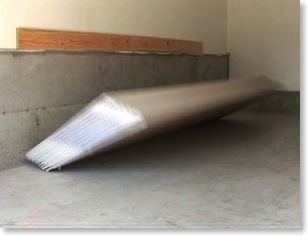 VisualWorks, with the assistance of an engineer developed a theory of how a stack of leaning sheetrock could come off the wall without being pulled away from the wall. 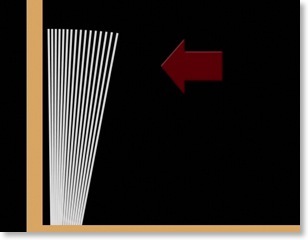 The theory of a bounce phenomenon, unheard of by anyone previous to our work was based on the fact that we believed our client and one other witness who stated they never pulled the sheetrock from the wall as defense had claimed. They stated quit emphatically that they may have leaned against the sheetrock, unaware that leaning their bodies against it would actually cause it to come off the wall, and that was what we needed to prove. With the help of a Portland Oregon Engineer who was skeptical at first, we not only came up with the underlying science behind the sheet stack bounce behavior that had harmed our client, which was explained through the use of animated graphics, but we were able to successfully demonstrate it repeatedly in the video presentation, with material models and with typical unsecured sheetrock stacks.